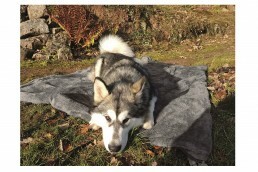 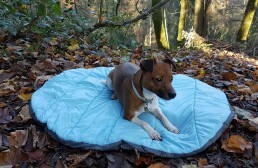 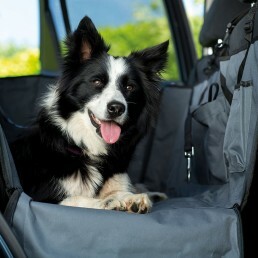 This Pet Hammock provides a safe environment for your dog when travelling in the back to stop them from falling off the seat into the foot well. 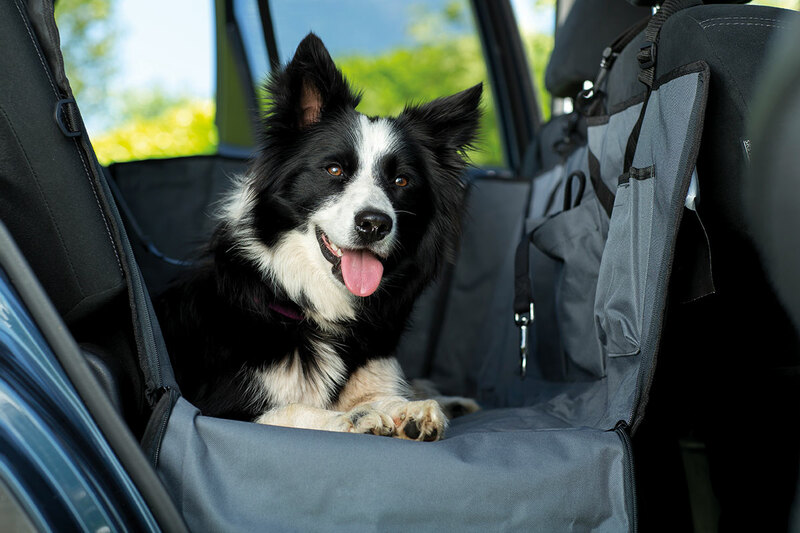 This Pet Hammock provides a safe environment for your dog when travelling in the back to stop them from falling off the seat into the foot well. 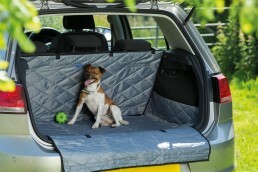 It also protects your backseat from pet hair, dirt and dust. 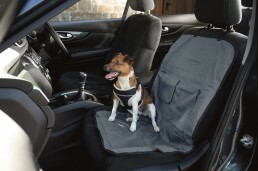 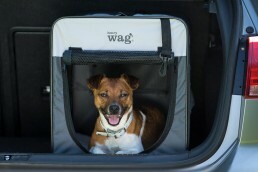 Made from durable, machine washable fabric with adjustable straps and quick connect snaps to wrap around front and rear headrests. 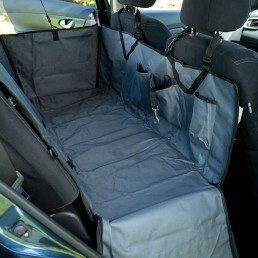 Also includes side straps to loop around the overhead handles to keep the side panels in position. 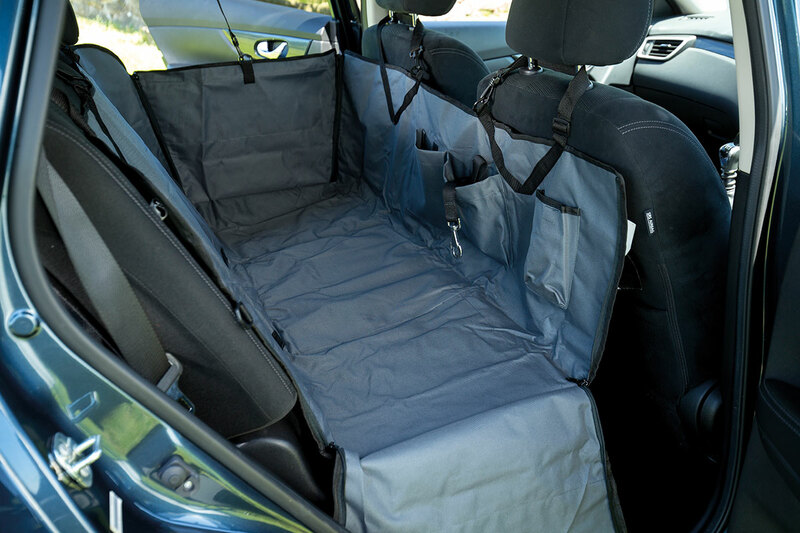 The hammock has storage pockets for snacks and accessories and can be folded when not in use. 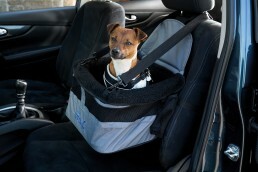 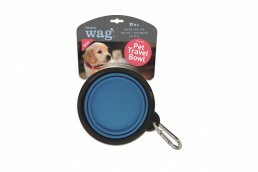 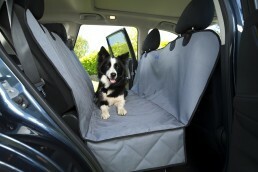 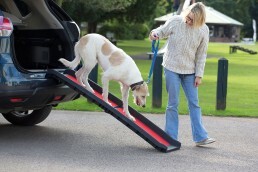 It features access slots for securing pet harnesses to the seat belt buckles. 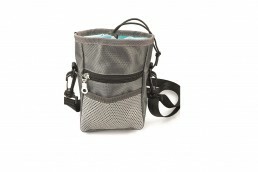 Supplied in clear PVC hang bag with printed colour POS insert.